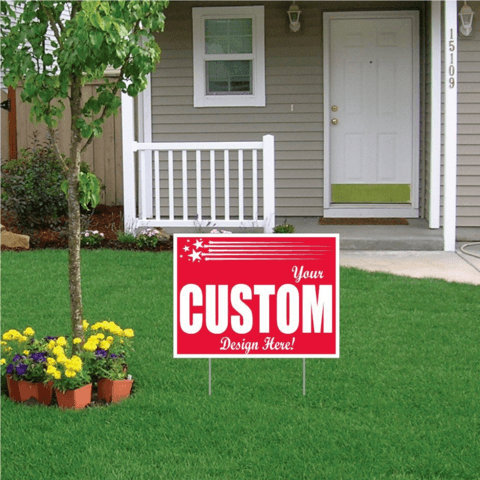 Personalized 18″ x 24″ 4mm Corrugated Plastic Yard Signs. The design will be printed in one to full color on either one or both sides, depending on your choosing. 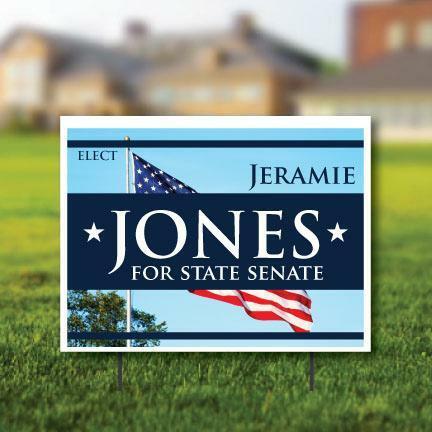 Great for political campaign yard signs, team sports signs, and Realtor signs. Vertically fluted corrugated plastic material is sturdy, weatherproof and recyclable. This is the standard size sign used by most candidates across the United States. 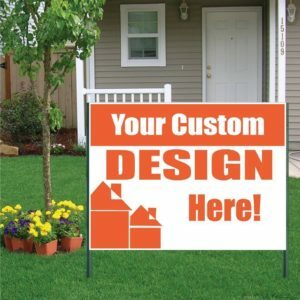 We also offer EZ Stakes and H Frames for easy posting of your yard signs. Tags: Church & Religious, Construction, Craft Fair, Political.